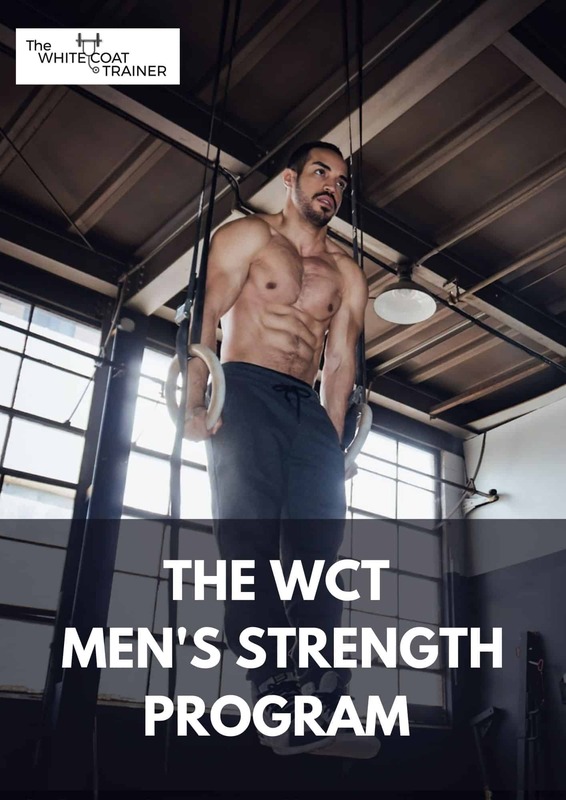 The WCT Men’s Strength Program is a 15-week exercise template that is designed to get you strong, and develop visible muscle mass, while minimizing the amount of time you need to be at the gym. The WCT Strength Program is a 15-week exercise template that is designed to make you a stronger version of yourself while minimizing the amount of time you need to be at the gym. You’ll learn the exact strategies that you can use to build muscle, tone up, and improve your fitness, even with an 80 hour work week. When you purchase this program, you will get instant access to a link to download an Excel spreadsheet. Included are all of the exercises you are to perform, the instructions on how to follow the program, the template for the strength program and a list of Frequently Asked Questions. You will also receive access to any updates we make to the program in the future. Is The WCT Strength Program Right For Me? Are you an intermediate trainee but you want to go back to the basics and develop a strong foundation for strength and muscle development. Then The WCT Strength Program is PERFECT for you. Are you a busy professional who wants to start a comprehensive exercise program, but do not have much time to spend at the gym? Then The WCT Strength Program is PERFECT for you. Are you a busy professional who wants to stop letting their busy life ruin their health and fitness? Then The WCT Strength Program is PERFECT for you. What’s In The WCT Strength Program? The WCT Strength Program focuses on compound multi-joint exercises that train the Big 6 Functional Movement patterns. In other words, these are the exercises that actually improve your strength, your muscle mass and your overall level of fitness. It is a 15-week template that uses the principles of gradual progressive overload in all of the key exercises. The program can be repeated for up to 3-5 macro-cycles upon completion if desired. and an Excel Spreadsheet to track your progress over time! In this private support group, you will be able to ask us (and other members) any questions you may have about the the program, exercise, fitness and whatever else you might want to know. Note: This group is FREE with the purchase of this program! It is included in the one-time price, and you will not be charged again. What Makes This Program Different Than Others? There is an overwhelming amount of fitness information on the Internet. There is an even larger amount of exercise programs that you could choose from. The vast majorities of them contain a lot of ‘fluff’ that is low yield, and simply a waste of time. This program is a result of the compilation of exercise and training routines that I have tried and tested over the last 10+ years of my life. I took the best parts of each program and combined it into one. As a busy professional, it is important to utilize only the highest yield exercises, in a manner that will get you the most efficient results possible. Very few programs focus on the stuff that really works while trying to minimize the time spent at the gym. The WCT Strength Program provides exercise recommendations that can be modified to your preference and to your skill level. The goal is to finish each training session in 30-35 minutes per day, making it easy and feasible to integrate into your busy schedule. Although 35 minutes does not sound like a lot, completing this program will give you an accumulation of training that will propel your body into a higher baseline level of fitness. In addition, this program will get you into the habit of making time to train, and learn how to do it in a smart, efficient manner. Don’t have a predictable workout schedule? No problem. The template accounts for this. Are you having a good day, and can lift more than what is prescribed? The template has got you covered. Are you having a bad day and can’t lift what is expected of you? The template accounts for this too. No more guessing what you have to do. No more rigid cookie cutter programs. No more spending countless hours at the gym. Is There Anyone Who Wouldn’t Benefit From This Program? You may still be skeptical? I hear you. If you are a high-level intermediate trainee, then this program is not for you. If you cannot commit 30 minutes a day, 2-4x a week to work out, then this program is not for you. If you want to whine and complain that you have no time for fitness, but have time to watch all of The Walking Dead, then this program is not for you. If none of these describe you, then you stand to benefit from this incredibly simple, yet powerful training template! There are no refunds on the exercise program templates.